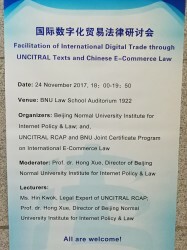 Along with other six distinguishing universities in AP region, BNU IIPL & UNCITRAL-BNU JCP jointly organized the Public Lecture on “Facilitation of International Digital Trade through UNCITRAL Texts and Chinese E-Commerce Law” on 24 November 2017 at BNU Law School Auditorium To memorize 2017 UNCITRAL Asia Pacific Day. 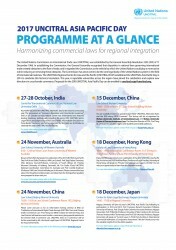 The lecture is supported by UNCITRAL Regional Center for Asia and the Pacific (RCAP). 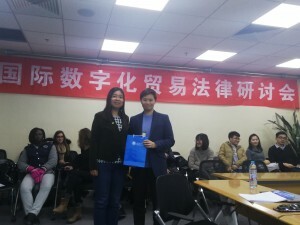 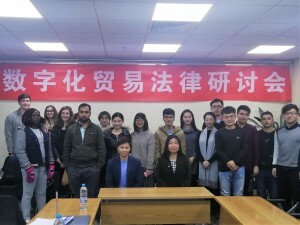 More 30 LLM, JM and PhD students from China, Belgium, Italy, Pakistan, Togo and other countries joined the Public Lecture and had the active interactive discussion with the lecturers.